Our team serves many different types of legal practice. Whether you are a sole-practitioner, or if you have many partners and locations, our attorney packages can keep the books accurate and the tax burden as low as possible. Not to be the bearer of bad news, but Lawyers sometimes have to pay massive tax bills because their income is very large. Our tax planning service can help you pay much less tax in a legal and safe way. You did not go to law school and pass those exams just to be bogged down in financial work on the weekends. Our service packages include everything you need to ensure accurate financial statements and accounts. We Wrote The Book On Attorney Accounting...Literally. This is the definitive guide for attorneys, legal consultants, paralegals, and any law related business on how to take advantage of the tax code and your cashflow. 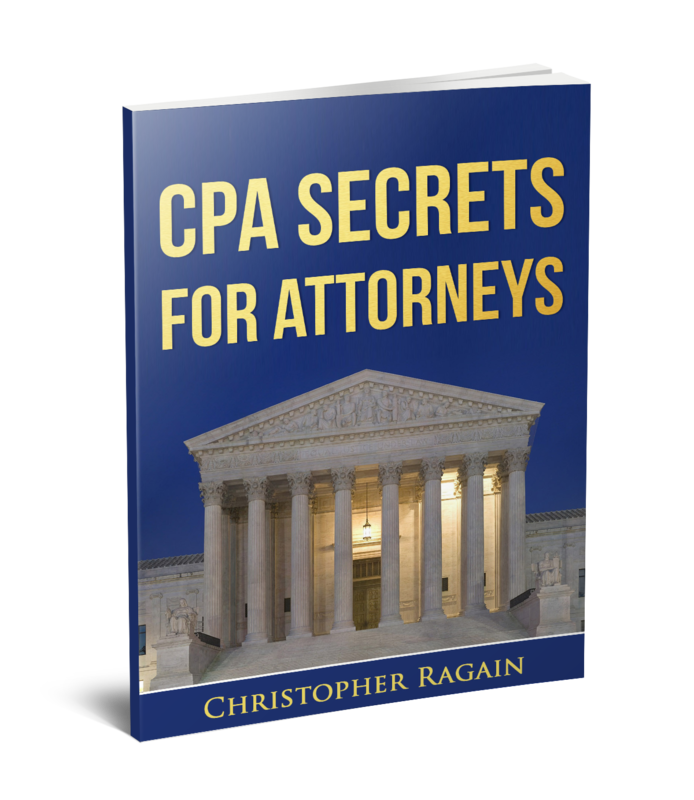 Discover the secrets known by accountants that can help any attorney run a successful, profit-making, legal business. As technology advancements continue to impact all aspects of our lives, law firms are also facing significant challenges with client expectations that demand lawyers adhere to the latest technology trends and faster timelines for service. Combine that with the rise of low-cost law firms and it’s never been more important for attorneys to ensure solid cash flow and take the necessary steps toward saving the most money at tax time. •	Make your invoices easier to read by support staff and clients. •	Encourage clients to make prompter payments. •	Cut costs that could be reducing your profits. •	What to look for when reviewing the health of your practice. And as a special thank you for downloading our free CPA Secrets Guide, we’ve included our tips for adding revenue to your firm.